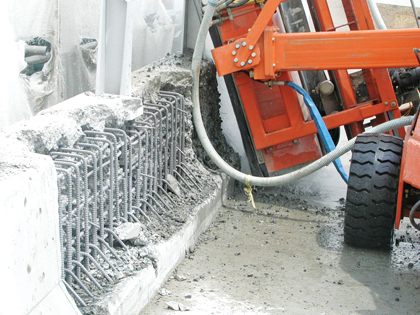 The impact of concrete breakers and jackhammers is not limited to deteriorated concrete. 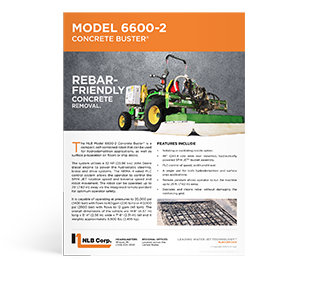 It can damage rebar and produce vibration that generates microfractures in sound concrete. Not to mention the noise and the dust. 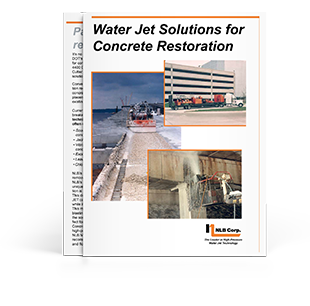 High-pressure water jets attack fissures in faulty concrete, preserving sound concrete and leaving it with an excellent texture for new bonding. They won’t damage rebar, instead removing old concrete and scale, and washing away entrained chlorides. 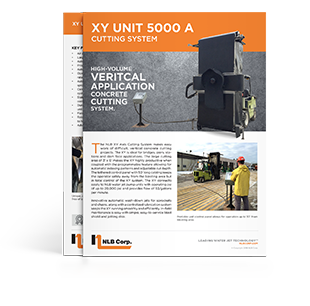 Robotic systems make water jetting even more productive.